WALLA WALLA, Washington — Providence Medical Group Urology is moving from the Poplar Medical Complex. The clinic will close Feb. 14 and reopen Feb. 18 in the Chase Medical Complex, 380 Chase Street, across from Providence St. Mary Medical Center. Dr. John Shannon, a general surgeon who performs aviation exams, will move his office from Poplar to Chase as well. Dr. Shannon performs first, second and third class aviation exams, basic medical exams and EKGs in-office. The move will enable him to expand scheduling availability and flexibility. Urology clinic hours will remain the same, Monday through Thursday from 8 a.m. to 5 p.m., and Friday from 8 a.m. to 3 p.m. The clinic phone also is not changing, 509-897-2660. Aviation exams also can be scheduled at 509-897-2660. Providence St. Mary Medical Center, a 142-bed regional hospital located in Walla Walla, Wash., is among the largest employers in Walla Walla County. 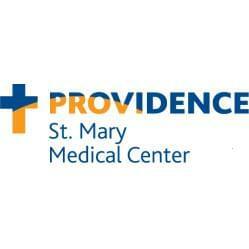 The Providence Medical Group is the largest group of primary care providers and specialists in the Walla Walla area. Copyright© 2018 My Columbia Basin. All Rights Reserved. Internet Development by Triton Digital.